For 30 years Bagpiper Michael Gibbs has been providing the citizens of Utah with the sound of the Great Highland Bagpipes. He provides premier bagpipe services for any and all types of events. Michael has years of experience as a solo and band piper. He has been a corps member in The S.L. 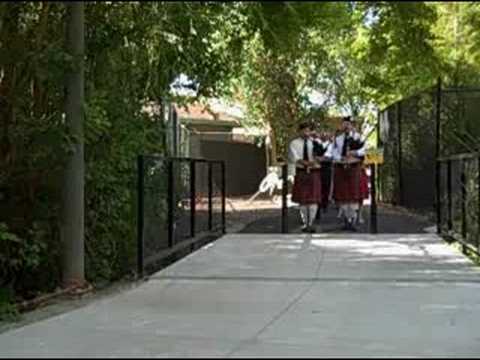 Scots Bagpipe Band, Utah Pipe Band, the LA Scots and a leading member of the Heathen Highlanders Bagpipe Corps. Michael can customize uniforming and playing as well as access other pipers, drummers, and dancers to customize your event for a unique and personal touch. If you need a bagpiper in Utah, contact Bagpiper Michael Gibbs. Thank you so much for your performance during our birthday party for our father, grandfather, uncle and friend. It was so special, your musical selections were perfect. We as a family give you a “10” ! We can’t wait for the event next year. Anyone interested in booking you would be very pleased with your, attention to detail, timing and interest in the scheduled event. Michael is not only an amazing Piper, he’s a wealth of cultural knowledge. My Irish father wanted a Wake, but I had never personally attended one. With Michael’s vast experience and gracious assistance, I delivered an extraordinary evening starting w/ a Piper and Drummer marching to our home playing "Amazing Grace", followed by family and friends sharing tall Irish tales about my Dad interspersed with a variety of Irish melodies and jigs, and then closing with the traditional Crossing as they played "Going Home" marching west into the sunset. The Crossing brought the house down, as even my dog barked in cadence with their departure. Friends, family and neighbors are still talking about how powerfully emotional, but more importantly how much fun it was to “Wake” my Dad for one last celebration of his life. Now even my friends who aren’t Irish want a Piper when they “Cross”. Thank you Michael for helping me coordinate the logistics and making my Dad's Wake an event to remember!!! What a great experience, from the very beginning until the heartfelt goodbyes. I contacted Michael through gigsalad.com to play our town's July 24th Pioneer Day celebration. Contact, via text and phone calls, while planning the event were met with ease and Michael was very accommodating to our specific needs. Michael arrived on time, was extremely polite and was patient with sound and staging errors on my end. Michael put on an amazing show, holding the attention of a captive audience for the entire performance. Michael is very trained, professional and capable at his craft. He has many years experience and it shows. The crowd had a GREAT time and wanted to meet and greet with Michael after, where he answered questions and genuinely visited with everyone. I have received MANY compliments on his behalf and we look forward to having more interaction with Michael in the future. I do not generally do reviews, but feel the need to shout Michael's praises. You will be thrilled with his services! Thank you so much for the opportunity to come share your wonderful community celebration. Small town patriotism is the best! We are always pleased when our performance is well received. Thank you for your gracious hospitality and the warm welcome from you, your husband, and the whole town. We would love future interaction with you and the town of Meadow. Michael helped us with a fun birthday surprise for a colleague of ours. Even though it was a short, simple gig, Michael was very helpful, flexible, and good-natured about the request. The surprise turned out great, and was well received. Michael was a professional all the way through the process. We greatly appreciate his time and talents! Two bagpipers contributed great fun! Two handsome men dressed in kilts emerged at our special event as a surprise to our guests to play two numbers. They wowed the crowd and were perfect in terms of talent on the pipes, outfits, demeanor. Michael Gibbs who scheduled the guys was terrific and the two pipers could not have been more responsive. Thanks for the great performance! Michael did a fantastic job at my grandfather’s funeral. He even played a song not usually in his playbill because it had been one of my grandpa’s favorites. He was so thorough about how he proceeds at funerals, explained the tradition of bagpipes, and was very accommodating to the honor guard that were there. I thoroughly enjoyed working with him. He was professional and a great piper. Excellent piper, but more than that he took the time in advance to walk through everything step by step to make sure he knew exactly what we wanted. He also explained Scottish tradition surrounding funerals, told us the names of tunes, etc. Just fantastic in every way. We have hired Michael twice now. He’s wonderful to work with. Always on time and plays beautifully. Michael was professional, sharp, and on point. He called the day before to double-check the details of the event and see if we had any last minute requests. He was punctual and performed perfectly. The music was a wonderful backdrop to a difficult day for many in attendance. We received so many compliments from those there that it really made the graveside service special. Michael responded immediately to my request for a bid. He was professional and considerate during a very sad and difficult time of the passing of my father. He helped guide us with the way to proceed with the musical portion of the service which was so moving and inspirational! Very knowledgeable and skilled bagpiper. This was a very memorable high light for the birthday party. I cannot say enough about Michael playing at our graveside funeral service. When I put in the request he called and walked me through what he could do and it sounded amazing. The entire family knew that this would be such a great way to have the services. He arrived before and was there to play through out the services. His playing was beautiful and so respectful. We will be forever grateful for his talent and for the impact he had that day! Thank you! Mike is a talented musician. We greatly appreciated his talent and professionalism. Michael was very helpful in working with us to decide what was appropriate for our event. We appreciated his insights as well as the excellent performance. Michael was excellent! He performed very well and people at the wedding loved having a bagpiper. He was very professional and helped out on a lot of details and guidance. Would highly recommend him for any event. Thank you. It's always a pleasure to share life moments with people. If you would not mind, p!ease give me a call on my cell at 801-244-4463. I have a quick question about the wedding. Michael was easy to work with and attentive to what I was looking for. He even provided a bit of special folklore that made the event extra special. Michael Gibbs showed up early dressed in full Scottish kilt. As the hearse arrived, the bagpipes were playing Amazing Grace which stopped as they unloaded the casket. During the funeral Mike played Oh Danny Boy, and then at the conclusion he played Going Home as he walked off into the distance. Tremendous feelings of farewell to our family as we layed our dad's body to rest. Mike did a tremendous job. He drove 3 hours to Vernal. Thanks Mike for adding a special touch. Michael played for our son's Eagle Scout Court of Honor and made it a memorable experience! We were happy that we decided to have him play the bagpipes as part of the flag ceremony and perform a song as the introduction to the Eagle presentation. He plays awesome, arrived on time, and was very professional in setting up the details. Played at father's graveside service. Michael's talent and help in music selection made the graveside service for my father forever memorable. The music was coordinated with the Military Honors which made the service even more special. I was able to schedule just a few days before and he was punctual and professional in every way. I would highly recommend this musician where bagpipe music is desired. Michael was punctual and played very well! My husband was very surprised! I will definitely hire Michael again for all of our events! Michael was great. He arranged for another piper and a drummer as requested and the music provided by the trio was perfect. He was so easy to work with. Couldn't have asked for more. I found Michael Gibbs through this site and didn't have any prior information on him. I found Michael to be very professional, punctual, and skilled. Michael worked with us on the plans we had for our graveside service. He provided suggests which were very helpful. His performance at the graveside service was beautiful, and very appropriate. I would highly recommended Michael to anyone who wishes to use his services. Excellent. Bagpiper walked behind casket playing as it was wheeled by pallbearers for 200 yards to grave site. After dedicatory prayer he played retreating into distance toward his vehicle. Family and gathered friends thoroughly appreciated the bagpipe music. 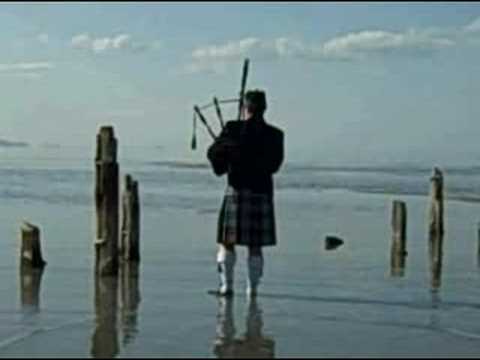 As the deceased had served an LDS mission to Scotland, the bagpiping was most appropriate, Bagpiper did an excellent job. Our wedding June 10th- Amazing! Michael was fantastic and so professional! From our first contact I had complete confidence in him. His kindness and sympathy for my family was genuine and felt by all those who attended the service. Very personable, and professional. He made an already great event even better! Michael Gibbs Bagpiper made our event better! Michael answered our request on short notice. Made suggestions for other ideas, which we implemented. Communicated well so we had no worries as to if he would come or what to expect. Arrived on time. Performed well. Improved our event. Michael Gibbs, you were outstanding as you lead our graduating undergraduate and graduate students at the College of Health, University of Utah convocation. Both the afternoon and evening sessions at the Huntsman Center and Kingsbury hall (5/4 & 5/5/2017). Thank you SO much. We look forward to contracting your services again next year. I was so pleased with Michael Gibbs. From the very start this young man gave me support that I so badly needed. He asked the right questions, he gave such helpful advise, he knew his job and performed it flawlessly. I will never be able to thank him enough for his service to my son and our family. He left us with a feeling of peace knowing that our loved one had been safely guided across the veil. My Michael would have loved this honor. Michael was very quick to respond and communicated the entire time about what to expect. He showed up on time and played as many songs as we wanted and played them well! Highly recommend him! Thank you very much for your kind words. I hope the St. Patrick's party becomes a neighborhood tradition... Wonderful setting and stellar party. Thank you so very much for allowing me to be part of your day. My sincere sympathies and condolences to you and the family. I've had the opportunity to see Mike's work a couple of times. He's very talented. He played for a funeral for our family and he was extremely kind and compassionate. I highly recommend Mike. Michael did a wonderful job at our Burns supper. He mentioned he has played for several Burns suppers before, so we asked for some tips, as this was our first supper. His suggestions made our evening just perfect. His bagpiping skills were more than we could ask for and set the perfect tone for the evening. He was even willing to stay and answer questions for us about the bagpipes. He was very knowledgeable, and that was a fun bonus to have. We truly appreciated his professionalism in all that he did. We would highly recommend him for any of your bagpiping needs. We will be contacting him in the future. I contacted Mr. Gibbs after our original bagpiper had to cancel. Michael Gibbs was quick to respond, very comforting and put all of our fears at ease. He handled himself with the upmost professionalism, and fulfilled every request we had. Wonderfully done, and at the last minute to boot. Thank you so much for sharing the tradition of leading the departed off at the end. The family was very moved by that moment. Thank you again for stepping in and making our funeral one to remember. Grandpa always wanted pipes at his funeral. Michael Gibbs was kind, professional, courteous, and piped our patriarch home properly. Perfectly done, in spite of the cold. Thank you for adding your stirring and wonderful music to our celebration of his life, and our final goodbye's. We highly recommend Mr. Gibbs for any piping needs. Thank you so much for allowing me to pipe for your family again. Condolences and sympathies to you and yours. The wedding had extra magic because of Mr. Gibbs. Well above our wishes for our daughter's wedding. Michael is very kind, personable, and a very talented piper! Michael was very professional and gracious and we worked out a great way to integrate his Bagpipe performance into our Braveheart event fundraiser. Thank you Michael! We used a Scottish theme for our family Christmas party this year. We have Scottish ancestry so felt this would be a unique and fun way to celebrate this beautiful holiday. We had no experience with bagpipers in the past and had no idea what to expect. Michael Gibbs was outstanding! From our first contact to the first sound of his pipes, his performance was professional, brilliant, exciting and most importantly, very personable and inclusive of his captive audience. It was a small group of about 25 held in our small home. The ages ran from age 82 to three years old. The little ones danced to the pipes, he called on the teens to demonstrate a bit, and even led the children in a parade through the kitchen. His playing was incredible! This man knows his pipes, Scottish history and could play every request. He arrived at the exact time he said he would and had us memorized from the beginning. We were a small audience, but he entertained as if we were royalty. I would very highly recommend this man for any occasion you might need someone of the highest talent and ability. Very kind words, very gracious family. The shortbread cookies were well received by my entire family. Thanks so much for allowing me to be part of the festivities. Please call anytime you are in need of some good, loud, Scottish cheer and music. I was so pleased with the beautiful tribute Michael did for my brother. My brothers one wish was for Amazing Grace to be played at his funeral. His passing was unexpected but We remembered his one wish. When I contacted Michael and explained what we were looking for he was so professional and compassionate. He not only was willing to play what we asked for, he offered other numbers and explained their meanings during the service. It was a wonderful tribute to my brother and best friend. I was asked from several people afterwards how I found a bagpiper and how beautiful it was. Thank you for a incredible memory we will hold for an incredible person we will miss. I was a little worried about only booking online and not being able to speak with the performer we would hire. By the same note, I wanted us both to be comfortable and keep communications online. Michael immediately offered condolences and provided his contact information so we could talk personally. I later re-capped everything online to him and all went extremely smooth. He offered suggestions to help me create a program that included all of our desired musical numbers and he added special touches along the way. He coordinated with Military and other events we had going on at the funeral making for a seamless program despite it being the first time any of them had met. Amazing & beautiful day. I had many of our guests ask me about him and comment how wonderful he was. We will most definitely use Michael for all of our bagpipe needs. Thank you Michael!!! I am very happy with Michael's responsiveness, professionalism, timeliness, as well as his charisma. I surprised my husband for his 60th birthday. I had no idea what to expect but we were all pleasantly surprised and everyone was impressed. Thank you Michael for making this an even more special event. We enjoyed Michael Gibbs's bagpipe performance very much at my Dad's graveside service. He also shared the old Irish / Scottish legend of leading the deceased person to the next life, which was very meaningful to my family. Michael Gibbs is the best piper to work with. He is highly flexible and extremely creative. He even make requested Beatle's songs work well on the bagpipes! He is highly skilled, very professional and accommodating. Michael knew exactly how to make my mother's funeral a graceful event. He was perfect from the moment I contacted him. He knew exactly what to suggest and was highly professional. He was also willing to travel far for this event. His piping is exceptional and he is willing to try any song you would like. So grateful for his help. Michael was very gracious in agreeing to play at my Mother's funeral with very short notice. Everybody commented on what a great "finishing touch" he added. Very kind soul and he played just the right music to soothe family and send her spirit to heaven. Thank You! Michael was the piper for our wedding Jan 11th, 2014. Once I had contacted him he immediately responded, which is always appreciated when planning a wedding. We spoke on the phone and he was very pleasant an professional before, and during the wedding. He clearly has done this many times; was helpful in guiding us. He did all the music for the ceremony, and his suggestions worked well. My only concern was the bagpipes may be too loud for an indoor wedding, and they were not. Thank you Michael! As a professional bagpiper and performer I would like to encourage you to put your trust in my 3 decades of experience. I have been called upon to play the bagpipes at just about every sort of event imaginable. I've performed for government officials, heads of state, religious leaders, law enforcement, fire departments, veteran associations, The Knights Templar’s, The Olympic Bid Committee and athletes at the Olympic village in 2002, numerous Irish and Scottish dance academies, The Utah Scottish Association, Golf Tournaments, Fund raisers, over 1500 funerals, 350 weddings, and countless parades, family reunions, birthdays, memorials, farewells and homecomings. I’ve organized and produced major concerts for bagpipe bands and Celtic dance groups. With all of my experience playing the Great Highland Bagpipes, I’ve learned that what is most important is that the audience receive a performance tailor made for them. From birthday parties to funerals and everything in between, the performance must be just right for each individual event. I can customize costuming and uniforming to reflect your event. I also have access to additional pipers, drummers, and Scottish and Irish dancers to customize your functions for a distinct and unique performance. Contact me and let me make your event perfect and unforgettable. Premier Bagpipe Service in the State of Utah. When you contact Michael Gibbs to provide the sound of the Great Highland Bagpipes at your event, you can rest assured you have found the best! For thirty years Michael Gibbs has been providing the citizens of Utah and surrounding states with the best bagpiping service around. He has performed for a wide range of events, from Government and Corporate events, Law Enforcement and Fire Department/EMS functions, Veterans associations and Military ceremonies, religious functions, Scottish and Irish/Hibernian societies, many dance groups, parades, hundreds of weddings, birthdays, family reunions and over 1500 funerals. 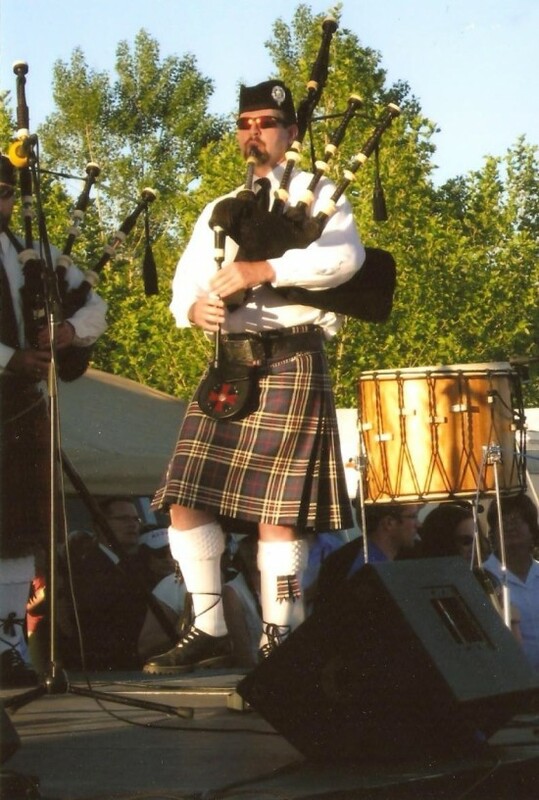 Michael has been extremely successful as a performer and competition piper, having been a leading member of The Salt Lake Scots, The Utah Pipe Band, The LA Scots and The Heathen Highlanders. Michael has also worked with and mentored hundreds of pipers. With 30 years of experience and knowledge, Michael can give any performance a personal and professional touch that will make each event memorable and unique. Bagpipes are a stand alone instrument. Usually no sound equipment or additional items are necessary. Traditional Irish, Scottish and Welsh tunes. May be able to customize tunes for events. I have played Beatles tunes on my pipes for an event before, as well as many well know hymns. Bagpipes are limited by 9 notes, but I am willing to try and accommodate tune selection if it will transpose to pipes. Many Patriotic tunes transpose well, including the various Military Anthems the the 5 Branches of the Armed Forces. 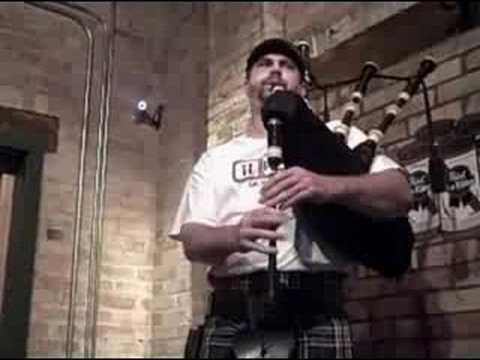 Bagpipes are highly portable and can be played virtually anywhere. Have pipes, will travel.